An air conditioning system is one of the biggest investments you may have to make as a homeowner. The good news is that a well maintained HVAC unit can last anywhere between 15 to 20 years. Unfortunately, many of us never think about our home’s air conditioner until something goes wrong, and then all of the sudden the inside of the house is hotter and more humid than it is outside. When this happens, all you can think about is fixing your AC unit. 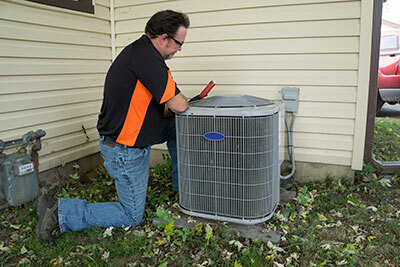 Like any large appliance with many moving parts, air conditioners require maintenance. Regular air conditioner maintenance will not only improve the performance of your system, but it will reduce your energy costs and prevent costly and inconvenient breakdowns. At Boerne Air Conditioning Experts, we’ve learned that there are a few things you can do throughout the year to help extend the life of your unit. Replacements can be a heavy burden on your checkbook, so extending your unit’s lifespan is smart decision. First, it’s important to note that regular tune-ups are extremely important in extending the life of your air conditioning unit. 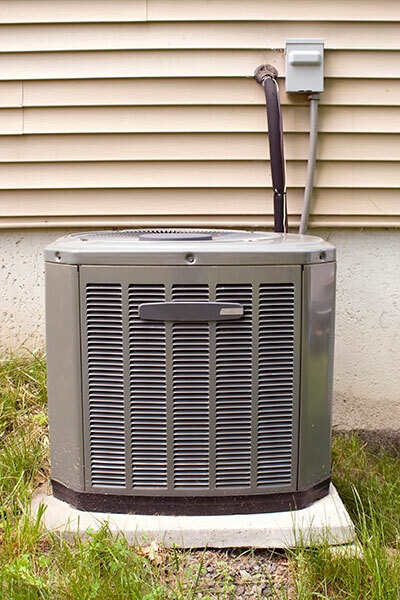 Not only do they keep your HVAC unit in excellent condition, but they also help prevent problems before they begin. You can easily schedule an annual AC tune-up with our technicians at Boerne Air Conditioning Experts. We suggest that the best time for a tune-up is typically in the spring before the hot summer months set in and your AC needs to be used more frequently. One of our qualified staff will come out and inspect all necessary components, clean, and fix any issues that are found. Usually, if you keep up with your annual AC tune-ups, it’s unlikely that one of our technicians will discover a large problem that needs to be fixed. Usually it will just be a routine check-up, but as always, we believe preventative maintenance is always the way to go. Next, it’s a good idea to regularly replace your air conditioner’s filter. Keeping a clean filter in your air conditioning system is one of the most important parts of keeping the unit working properly. The filter helps to keep dirt, dust and debris from entering the condenser coil, which can cause damage to the system. When the filter is dirty or clogged, the air conditioner not only loses efficiency, but it also has to work harder to provide cool air. Along with causing the operational cost of the air conditioner to rise, this additional strain on the system can cause damage to multiple other components and reduce the life of the unit. Another way to extend the life of your air conditioner begins with your air ducts. Over the years of channeling warm and cool air around your home, your air ducts can become dusty, dirty and even clogged. Air ducts in some cases can be the culprits behind the cool air not reaching your home. When the ducts and registers become dirty or obstructed, this can rob the system of some of its overall efficiency and cause the air conditioner to work harder. In many circumstances, air ducts have gaps that allow cool air to escape. By sealing these gaps, all of the cool air produced by your air conditioner will make it into your home, instead of loosing a percentage in the journey through your air ducts. Dirty air ducts can also slow down the air flow into your home. Over time dirt and debris accumulate inside your air ducts making it difficult for the cool air to pass through. Regular air duct cleaning will prevent the air from being slowed down by dust, dirt and debris as well as improve your homes indoor air quality by cutting down on the amount of dust in your air. At Boerne Air Conditioning Experts, we’ve seen that another factor that contributes to extending the life of your air conditioner is preventing overuse. Having the system constantly running at a high level will give the unit no time to rest and cause significant harm to its components. Opening some windows and providing the air conditioner with some rest when you are away from home can help to prolong the life of the unit. Taking advantage of the cooler night air will also allow you to turn the temperature up on the thermostat and at least reduce the workload. A further step that you can take to manage the usage of their air conditioner is to install a programmable thermostat.